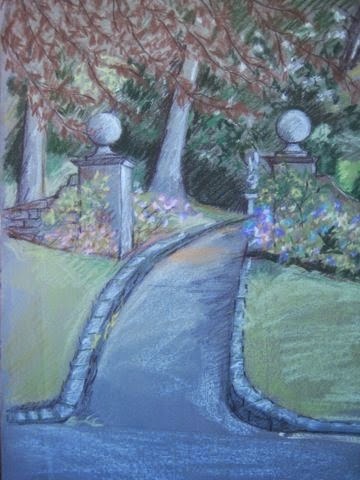 Showcasing work by ex-staff and pupils of Dartington Hall School. The Power of Place project, led by artist and ex-Dartingtonian Alice Leach, was set up in 2010 to celebrate the cultural legacy of Dartington Hall School 1926 – 1987. 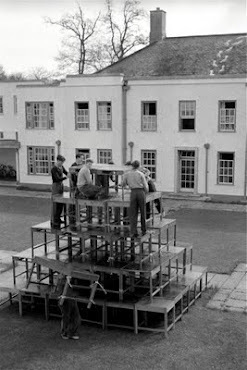 Part of a unique social experiment, Dartington Hall School was in the vanguard of progressive co-education. Founded by Leonard and Dorothy Elmhirst, the school was central to the Dartington Venture – widely regarded by Victor Bonham-Carter as ‘the most important private enterprise ever undertaken in the economic, social and cultural rehabilitation of a rural area’. Dorothy was the guiding spirit behind the school, having played a leading part in progressive education in America, but Leonard’s unhappy memories of his education at Repton School and his experience working for Rabindranath Tagore in his ‘community’ in W. Bengal, helped cement their joint vision. The original concept was a school without buildings, where the estate and surrounding countryside were to be looked on as the ‘classrooms’. ‘I want the thing to grow quite naturally out of our own home life and never to mention the word school from the start,’ wrote Leonard. It was to be a school that was ‘prepared to break with a number of outdated, but often unquestioned, traditions from the past.’ All the full-time workers on the Estate were regarded as members of staff, and expected to contribute to the ‘joint adventure’ in learning. Instead of a headmaster there was an education committee. This initial experiment, between 1926 and 1930, represents one of the most radical attempts of the 20th Century to break down the boundaries between learning and life. As numbers increased both within the school and on the Estate it was clear that this approach had to change. Among the 20th century’s leading private patrons of architecture, the arts and education in England, Dorothy and Leonard saw the arts as integral to their vision and wanted artists to contribute to the education of children at the School. Dorothy was particularly passionate about them, arguing ‘if at Dartington we aim to provide a full and balanced life, then it is essential to include the arts.’ Not surprisingly the School became a Mecca for imaginative parents including Jacob Epstein, Barbara Hepworth and Ben Nicholson, Aldous Huxley, Sir Clough Williams-Ellis and Bertrand Russell. In the thirties, Dartington became a vibrant, virtually international artistic centre with many cultural refugees fleeing Nazi persecution. Hein Heckroth, designer to the Ballet Jooss, who trained at the Bauhaus, but was blacklisted by the Nazis because his wife was Jewish, Cecil Collins, the painter, and Willi Soukop, the Austrian sculptor, were all resident at the Hall. Naum Slutzky, who also trained at the Bauhaus, taught metalwork to a youthful Lucian Freud. Bernard Leach and his son David taught pottery and the American Abstract Expressionist Mark Tobey was the school’s resident artist. 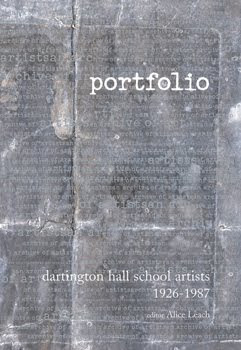 Portfolio - Dartington Hall School Artists 1926-1987. Specially published for 85th Anniversary a collection of images and poems by ex-Dartingtonians, staff and pupils. On sale for £15 a copy. More than one copy on sale for £10 each. For more details Contact Me. The following list is a small proportion of artists from Dartington Hall School with websites. Scroll down to labels for more artists. Thanos Fatouros took the picture of Foxhole Courtyard in the snow when he was at Dartingon Hall School in the 80s. The Dartington Hall Trust has kindly given us use of the main building at Aller Park and the gallery space on the estate, plus they have graciously taken over stewarding for the duration of the show.